While we were having brunch at a café in San Francisco during our holiday in April, we saw a very interesting item on their menu – Watermelon Iced Tea. We ordered one to try and were pleasantly surprised at the flavours – the refreshing watermelon taste greets us first, followed by a sweet tea flavour. After coming back from our holiday, we started experimenting to recreate this unique and delicious tea. 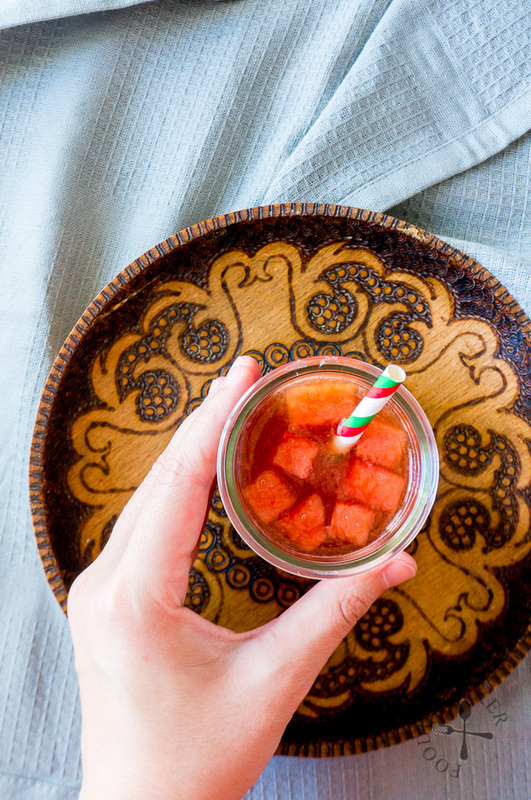 We used black tea to make the Watermelon Iced Tea because of its strong flavour that paired well with the taste of watermelon. We tried it once with Earl Grey and it’s just… weird. I used loose tea leaves which was gifted by my friend when she visited a tea plantation in Azores, Portugal. If you don’t have loose tea leaves, tea bags will work too. We experimented the tea a few times and finally settled on 5 parts of tea to 1 parts of fresh watermelon juice. 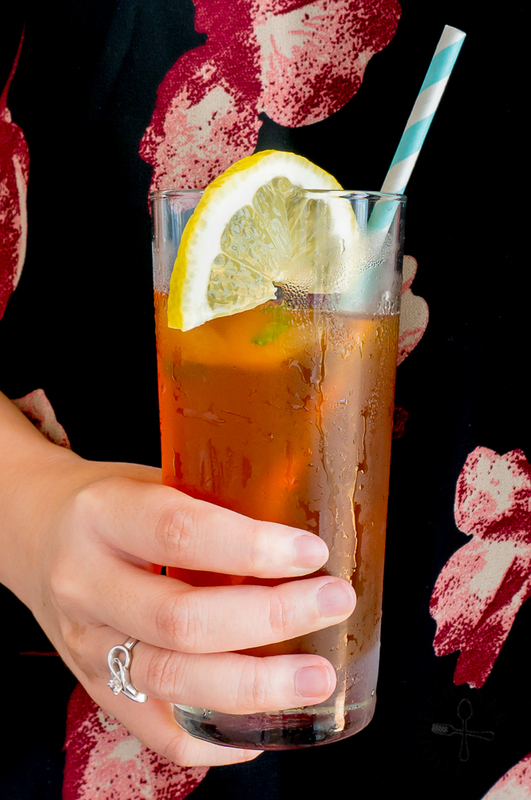 Too much watermelon juice will just overpower the flavour of the tea, so we found that this ratio is just right. We also found out that sweetening the tea is essential to bring out the tea flavours. But just in case you don’t think this Watermelon Iced Tea is your cup of tea, give this Minty Ice Lemon Tea a go, I’m sure you will love it! Bring water to a boil and stir in tea leaves (or tea bags) and sugar. Steep the tea for 2 hours. Strain the tea and chill the tea completely in the refrigerator for at least 4 hours, preferably overnight. 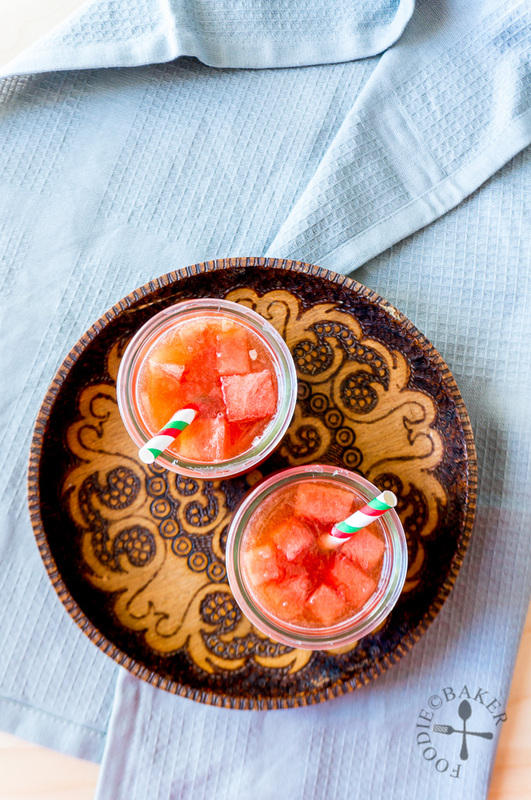 Stir the pureed watermelon into the chilled tea. Taste and add more syrup if you prefer the tea to be sweeter. Pour into glasses and serve. - To make a simple sugar syrup, dissolve sugar into hot water in a ratio of 1:2 (1 tablespoon sugar to 2 tablespoons water). 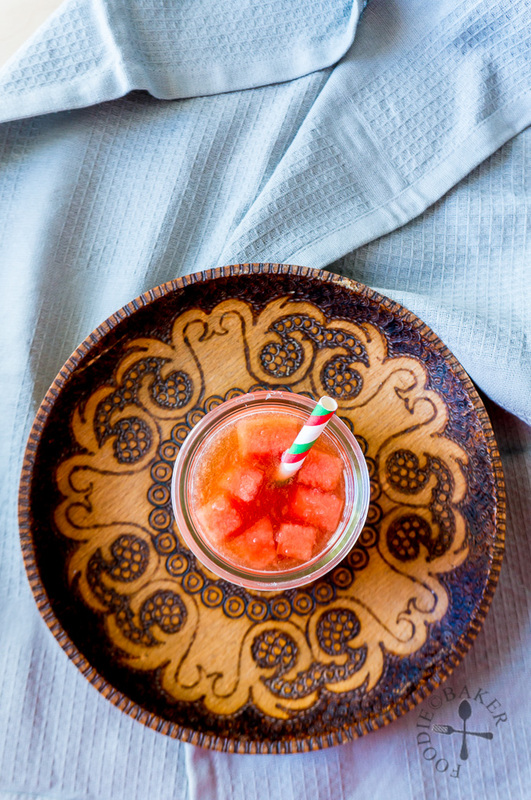 Your watermelon tea looks absolutely delicious and refreshing.Perfect for summer time sipping. Wishing you a super weekend. Just pinned! 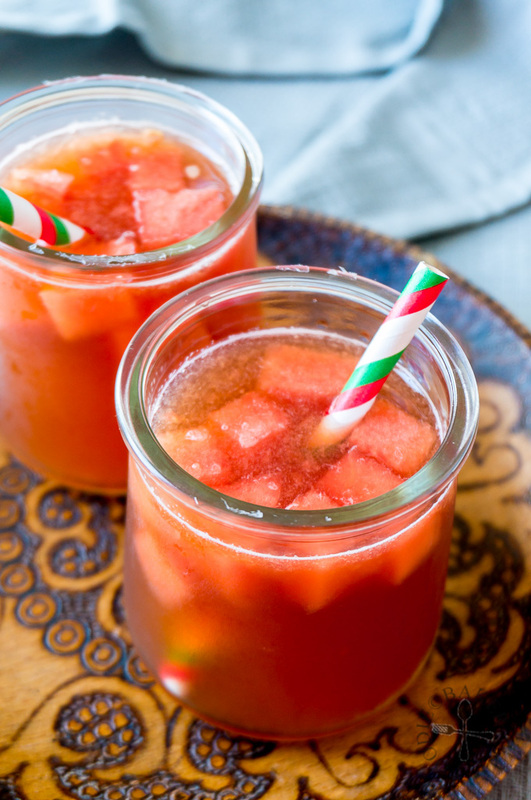 The weather here is scorching hot … a glass of this ice cold watermelon iced tea would be perfect ! Thanks for sharing. Jasline this watermelon Ice teas look absolutely beatiful!! and I love yours pictures!